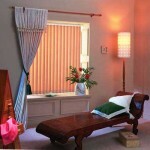 The most versatile of window blinds which provide a pleasant and functional form of light control. 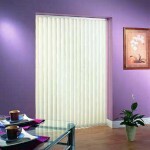 They eliminate glare and provide a useful screen for privacy without obscuring vision. 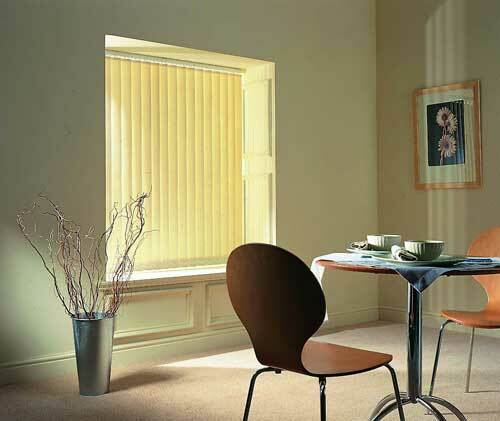 Vertical blinds are suitable for all types of window and are particularly practical on patio doors. They are available in 127mm or 89mm and there are many different fabrics including plains, patterns and faux suede. 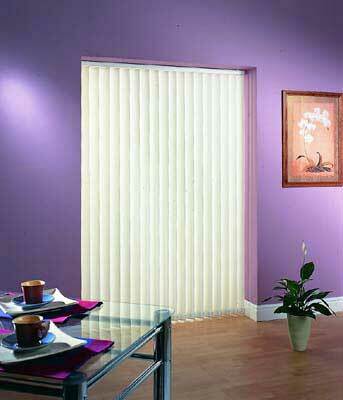 Vertical Blinds are the perfect compliment to Roof Roller blinds or Pleated Roof blinds. Slimline headrail system for neatness and easy installation. All headrails are equally spaced so no uneven overlaps. White or Brown components available. 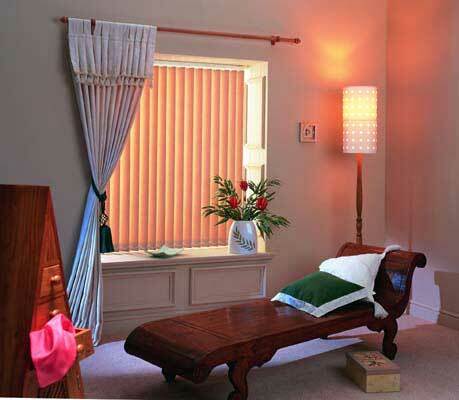 Sloping blinds are available for Lean-to Conservatories or sloping windows.